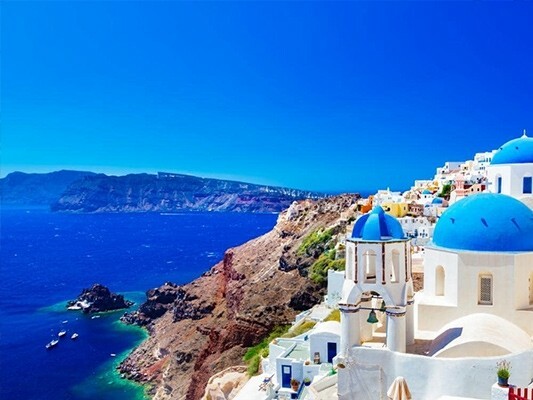 When it comes to luxurious holidays complete with sun-soaked beaches, quaint cobbled beaches, the finest, freshest food and a majestic history stretching back two and a half thousand years… there’s simply nowhere on earth like Greece. The best thing about Greece, though, is that as a country it presents a real wealth of opportunities for all manner of experiences. Why? Quite simply because it is made up of archipelagos of islands, each of which has its own identity, its own style and history, and its own set of specialisms to offer intrepid holiday-goers. Want to explore ancient ruins and live out your own Indiana Jones fantasies? There’s an island for that. Fancy doing some big game fishing, and chowing down on the freshest seafood? There’s an island for that, too. Want to spend all day lying in luxury on white sand beaches, or dancing the night away, or trekking over mountains and sipping local wines? There are islands aplenty offering all of that, and much more besides. Here at Sanwin Beachwear, we’ve trawled through the luxuries and wonders the Greek islands have to offer (it’s a hard job, but someone’s got to do it…) to bring you a list of our top recommendations for your next holiday. Wherever you choose to go, make sure you pack your stylish Sanwin swimshorts - luxury holidays are so much better when you’re looking sharp on the beach, and bursting with the confidence our unique swimwear provides! There’s a good reason why watching the sun set over the idyllic island of Santorini has recently been added to a million bucket lists worldwide: it’s one of those ultimate romantic experiences that captures the hearts and imaginations of people across the globe. No wonder holidays to Santorini have boomed in recent years… best to get there quick, before it hits saturation point! There’s no secret to Santorini’s newfound popularity, however. This charming island ticks every box - it’s small enough to feel as though you get to know it while on a romantic break, it boasts spectacular views across its iconic bay and blue-topped villas, and it features secluded beaches ideal for a stolen kiss or two. The flawless restaurants on Santorini know full well that they’ve held host to many engagements and honeymoon dinners, given a boost by their stunning seafood caught fresh that morning in the sparkling waters. On top of that, Santorini is home to Assyrtiko - one of Greece’s most spectacular white wines, perfect for sipping and sharing while the stars come out overhead. If you’ve ever been on holiday with children or teenage family members, you’ll know the secret to making it a success: provide as many options as possible, and ensure that everyone has ample opportunity to use up all their boundless energy. Almost all of the Greek islands could be considered child-friendly, but if you want to do your family holiday in style, we’d advise heading to one of the lesser-explored smaller islands, where your kids can feel like explorers in a new land. Naxos is exactly what the doctor ordered in this regard. Not only does it feature endless kilometres of golden sand beaches - perfect for sand castles, forts and gentle sea-swimming - it also provides loads of quirky entertainments to keep the whole family engaged. Want to stumble around ancient ruins and the sites of heroic myths and legends? Naxos is packed full of historic ruins. Want to discover the island in an unusual way as a family? This island is famed for its pony trekking tours, which are also suitable for children to enjoy. With beach clubs, wildlife reserves and water sports aplenty, there’s enough to keep the whole family engaged on a Greek island holiday of a lifetime. The Greek party scene is renowned around the world for its wildness and the quality of its nightlife. Almost all of the main islands have their own ‘strip’ - a street lined with cocktail bars and neon-lit nightclubs, and every year it seems as if a new island rises in provenance to be heralded the new clubbing hotspot. However, both newbies to Greek nightlife and seasoned party-goers tend to agree that when it comes to hitting the dancefloor, Ios is the place to go. There are several reasons why Ios sits on the Greek party throne, and has done for some time. 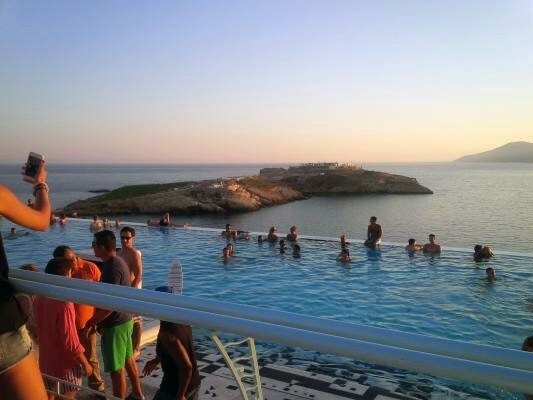 Not only does it feature several awe-inspiring nightclubs, ranging from mainstream destinations like Astra to quirky underground venues such as The Scorpion Club, not to mention the effortlessly chic Planet Ios (set into the cliffs and overlooking the marina), but the island has much more to offer besides. Funky bars, a great late-night restaurant scene, beach clubs offering sunset views… even if you find you’vedrunk a little too much, what could be a better hangover cure than a dip in the Aegean sea, followed by a lazy day spent eating fresh seafood on the beach? There’s one reason above all others why people flock to the Greek islands pretty much all year round: the beaches. White and gold sands, stretching out into the distance, bordered by rugged cliffs and dense forests… no wonder this landscape inspired musicians and poets, writers and dramatists for thousands of years. Even if you aren’t planning on penning an epic, it’s impossible to resist the allure of this multitude of coastlines, not to mention that warm, sparkling sea. Trying to pick which Greek island has the best beaches is a little like trying to say which is your favourite child; each has its own highlights and individual attractions. 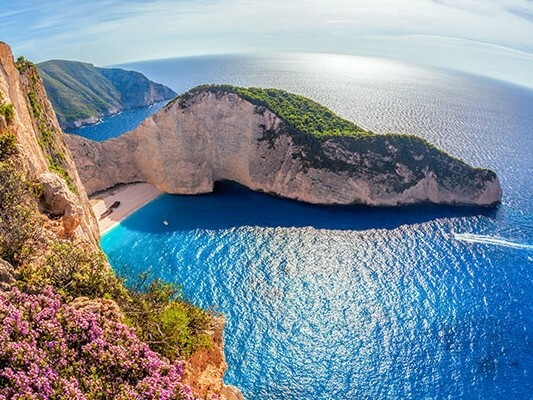 However, if we were pushed to choose just one… well, it would have to be Zakynthos. This popular island boasts the kind of beaches that haunt our dreams: pristine white sands giving way to azure seas, dotted with white limestone rock features just waiting to be explored. Zakynthos is also renowned for its many sea caves, which bask in an almost other-worldly blue light - sheer romance and luxury awaits around every corner! If you’re worried about being packed onto a beach with a thousand sun-burnt strangers, then fear not: it’s almost impossible to avoid stumbling across a secret, secluded beach to call your own as your wander across Zakynthos.Heaven! If your idea of holiday heaven is snorkelling across calm waters, while showing off your new Sanwin swimwear, then Corfu is the Greek island for you. While this is definitely one of the more tourist-heavy islands (which isn’t in itself a bad thing), the snorkelling opportunities around places like Afionas Beach are second-to-none in the Aegean Sea. It features several coves, sheltered from the Mediterranean winds, where you’ll be able to get up close and personal with shoals of fish, marine vegetation and brightly coloured sea shells aplenty. Once you’ve had your fill, you can head to some of the island’s famed seafood restaurants, where you’ll be able to get a taste of the sea-life you spent the day watching underwater! So, there you have it - five best Greek islands, perfect for a range of holiday styles and ideas of what makes for a perfect getaway. Of course, with your Sanwin swimming shorts and accessories, you’ll be turning heads no matter where you go… something sure to make your trip even more memorable! If you’ve been to any of these Greek islands, or have some top tips for well-kept secrets across these stunning archipelagos, we’d love to hear from you. Get in touch via the comments below!